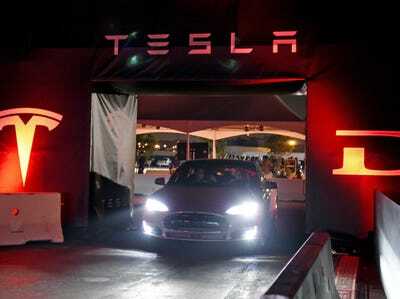 Kevork Djansezian/GettyLong before Tesla Motors made a car, it needed a name. In 2003, Martin Eberhard went to Disneyland with Carolyn, the woman who would become his wife. The engineer was taking the first steps to launch an electric car startup. It would one day become a $US28 billion company. But he needed a name. The car wouldn’t be like other electric vehicles: Instead of a hippie-dippy golf cart, this would be a high performance sports car — the kind that could accelerate from 0 to 60 in under four seconds. The point was to make a car so awesome, so badass, so powerful that it would forever change what everybody thought about electric vehicles. But what kind of name could communicate all that? He’d been pitching his girlfriend on names for months. Nothing clicked. It couldn’t sound overly ecological. One of the reasons that GM’s EV-1 electric car failed is that it couldn’t escape from the green ghetto. It couldn’t sound too engineer-focused, either, he thought — any Leaves, Volts, or Bolts would have to be set aside. It had to sound like a car company, not another Silicon Valley startup. Plus, it had to be easy to remember. Eberhard and Carolyn sat down at the Blue Bayou, a restaurant nestled inside the Pirates of the Caribbean ride. On this night, Eberhard made a fateful pitch. What if the name honored Nikola Tesla, the Serbian-American genius that invented the AC induction motor, which the new company planned on using? 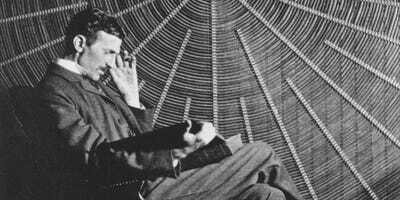 Wikimedia commonsNikola Tesla, inventor of the AC induction motor. 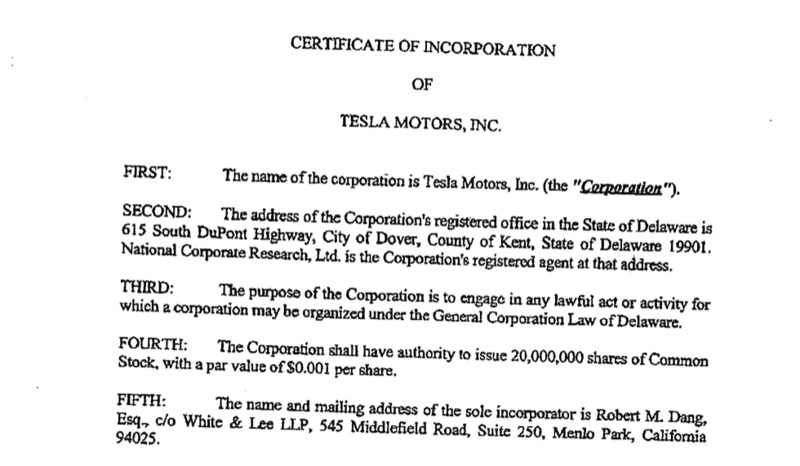 On April 23, 2003, Eberhard’s cofounder Marc Tarpenning nabbed the domain name: Teslamotors.com. 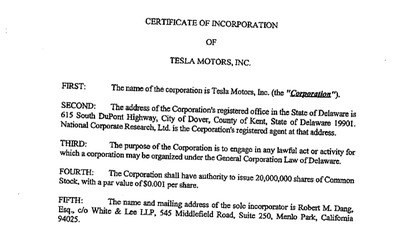 Tesla IncorporationThe incorporation papers that Tesla Motors made with the state of Delaware. The car that could change history had its name. This post is taken from “The Making Of Tesla: Invention, Betrayal, And The Birth Of The Roadster,” an original Business Insider investigative feature.